We have been offering this service since August 2005 and are happy that so many have subscribed to the eNews. In this issue we are asking for your feedback in a few different ways. First, we’d like to know what features of the eNews are most interesting or useful for you, or what enhancements you would like to see. Also, if you’ve had the opportunity to read any of the books presented or reviewed through the eNews, we invite your comments. You may even write in about other publications of ours, brought out earlier, that you enjoyed. Suitable comments on the books, reviews and articles will be shared with other readers in future issues of the eNews. 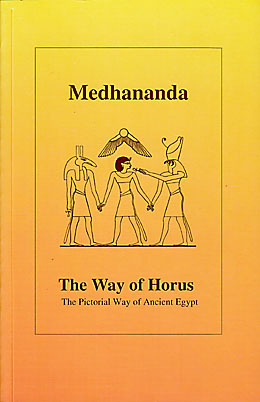 These five books on Ancient Egypt were written by Medhananda in close collaboration with Yvonne Artaud to present the thesis that Egyptian hieroglyphs and images contain the teachings of an advanced psychology of self-knowledge. 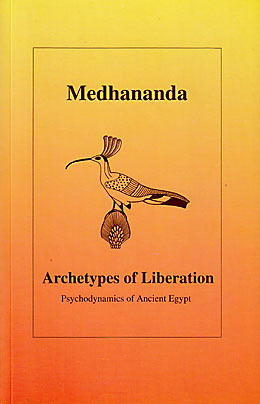 Drawing inspiration from Sri Aurobindo’s work on the psychological nature and structure of man and the universe and acknowledging his interpretation of psychological symbolism as revealed in The Secret of the Veda, the authors intend these volumes to be interpretations, stimuli and guides for explorations into the different aspects of being, inner movements and states of consciousness of the spiritual seeker. The bold visuals of the hieroglyphics, the numerous notes and richness of references to other cultures, and the extensive bibliographies and indexes make these books a research collection of esoteric knowledge unveiled through poetic language, humour and insight. 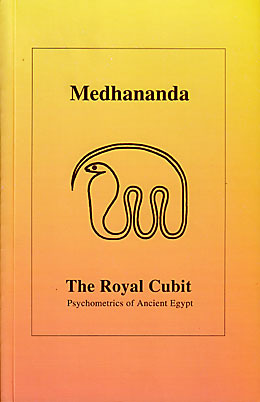 Readers of this book will learn that during the Golden Age of Ancient Egypt human consciousness was quite different from our mainly mentally dominated consciousness; it was turned towards the inner movements of the soul, which were then expressed in images and symbols. The author is convinced that rather than taking these Egyptian hieroglyphs and images at face value, the deeper meaning should be explored. In place of a pantheon of primitive gods and figures he perceives a multiplicity of soul powers representing inner movements of consciousness, aspects of ourselves, as well as universal principles. This book takes a close look at what lies behind the many ancient Egyptian figures and gods, with their strange animal heads and fantastic crowns. The author sees them as expressive symbols for psychological principles, archetypes, functions and structures of man's own complex being. The images are "all symbols for those yet unknown parts of ourselves we must meet and become acquainted with on the way to total self-awareness….all these symbols and images are always ourselves or parts of ourselves." The Pyramids and the Sphinx are viewed today as wonders of the world and have been studied from the religious, mythological, philosophical and even occult point of view. 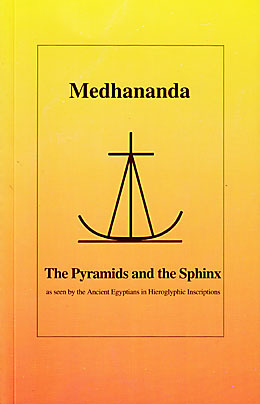 This book proposes that the pyramids may have been erected by the ancient Egyptians in an attempt to penetrate the secrets of their inner psychological structure, and the riddle of the Sphinx may be a mirror of unrevealed secrets in the human subconscious. The author examines these mysteries, these monuments to wisdom, as the building blocks of consciousness, as "seats of soul power for everybody". In The Royal Cubit the reader is introduced to the Egyptian royal measuring tool, an instrument 52 centimeters long, used by architects, engineers and masons to build pyramids and temples. The author's research revealed that it was also perceived as a secret codex with 28 symbols, named according to the nights of the moon and corresponding to a list of gods, or soul powers. This codex represents a programme of self-knowledge and transcendence, an ancient discipline of self-culture, aimed at developing the higher ranges of consciousness. 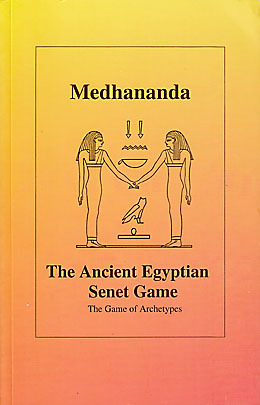 This book examines the ancient game board of the Egyptian pharaohs with its thirty symbols. Medhananda found that each of these "houses" or symbols corresponds to a psychological force-field, to an archetype within us. The reader is invited to explore these force-fields in order to discover the many ways of being, to become more conscious of the multifaceted self. 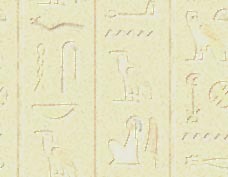 Many parts of the ancient hieroglyphic "Great Senet Text" are translated and interpreted by the author.